Benches and banquettes are couches for your kitchen or dining room table. A comfortable padded bench adds a soft touch to dining with a welcoming style. While similar, banquettes may sport a short back rest. Often seen in restaurants, banquettes and benches have moved into the American home to save space or provide something other than a common chair. 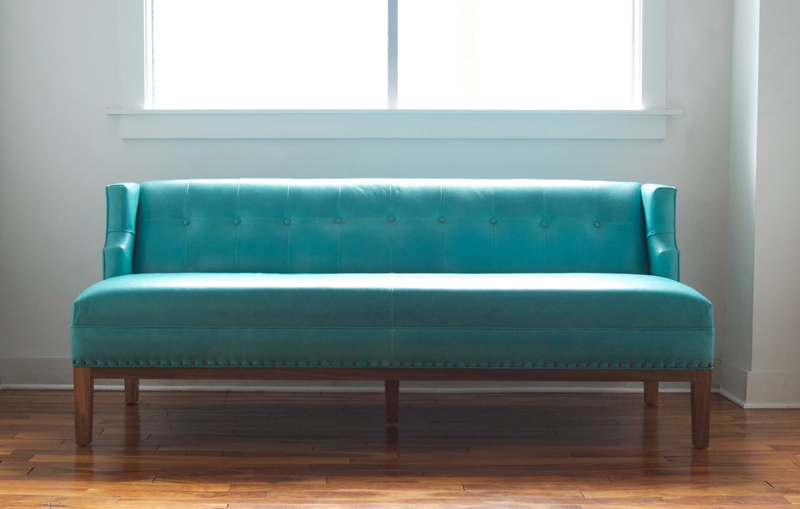 Benches and banquettes are built to match your kitchen or dining room decor. They can be customized in any color or fabric you choose. We can also build ottomans to match. We can make an ottoman to go with any sofa, just ask us about options!